Preparing for a nineteenth birthday celebration, I returned to campus with cakes and decorations, my hands full and a pump-up playlist on full blast. I walked through Columbia’s gates absorbed by the banalities of everyday life. But this blissful simplicity was short-lived. I was quickly met by fencing and police asking to see my Columbia I.D. I had forgotten, Alt-right leader and Pizzagate mastermind Mike Cernovich was slated to speak that evening, hosted by Columbia University College Republicans. Shaken that I should have to prove my identity just to step foot on my college campus and having spent subsequent time on Columbia College Student Council learning about the tuition fees paying for event security, I grew curious. Could we really justify the personal and financial burdens of allowing such controversial speakers to appear on campus in the name of free discourse and academic inquiry? Seeking out Columbia’s own leading academics on the issue, I contacted Professor Todd Gitlin, professor of journalism and sociology and chair of the Ph. D. program in Communications at Columbia. Having stumbled across a Washington Post article on his take on campus free speech, I grew eager to interview him. Not only has Gitlin had an illustrious career in academia, but perhaps most interestingly and most pertinent to the topic at hand, he was a leader of the 1960s activist group, Students for a Democratic Society (SDS). As I ventured into Pulitzer Hall and arrived at his office, taped on Gitlin’s door was a sign that read “on sabbatical”. I cringed, embarrassed to have bothered him. Yet in true activist fashion, Professor Gitlin arrived promptly, ready to delve into discussion. Curious about his time with SDS, I asked about the impact of his involvement in the group on his perceptions of free speech. He explained that he himself had been forbidden to speak on the Vietnam War on college campuses during his time with SDS. He reflected, “having lived through a period when people’s views like mine were considered illegitimate sensitizes me to the principle of free speech”. Further, he is “mindful of the ways in which the restrictions on free speech can be turned on the minorities of the moment.” This experience and context in mind, we discussed the history of free speech debates on college campuses. From the 1930s and into the 70s, attacks on campus free speech were nearly wholly from the right, as leftist speech was rejected as communist or radicalist. Beginning in the 1980s, trends shifted, as attacks emerged from the left, and universities sought to strike a better balance between free expression and community safety by implementing speech codes that sought to eliminate discrimination and malice on campus. Despite these efforts,courts have struck down all such codes brought to trial for their vagueness and regulation of particular opinions. 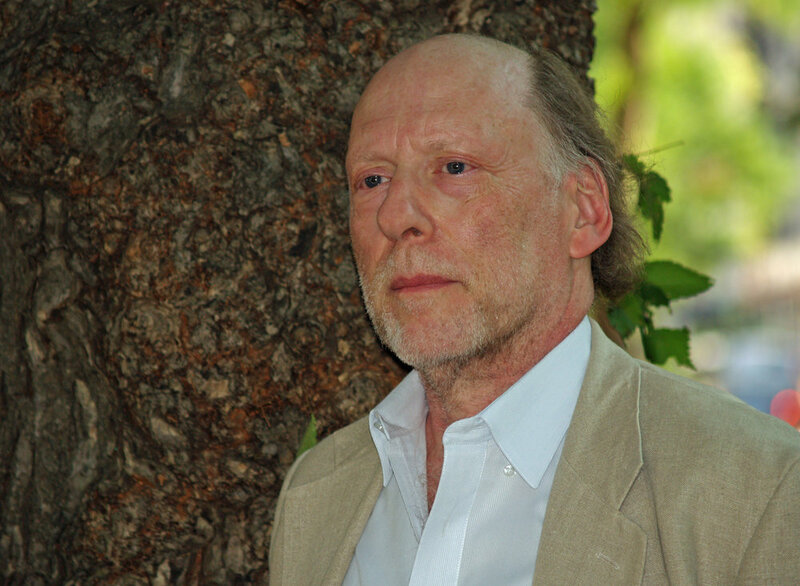 Flashing forward towards present day, Gitlin believes that a new argument is being heard, that “speech is action...not just a threat of aggression but is in itself aggression.” Gitlin finds that this is emerging out of “many years of emphasis in universities on the ideological power of speech” and speech as “a component of or even a direct trigger for action”. Given this new argument, how has debate formed on the issue? Gitlin finds that there are two main channels of thought regarding free speech. Continuing the thought of John Stuart Mill’s classical liberalism, free speech defenders point to the notion that “until prevailing ideas are resisted, they tend to wither,” thus actually doing prevailing perceptions “a service for its opposite to be heard”. For Gitlin, this train of thought emphasizes the collective, communal benefit of hearing dissident views. Yet from the point of view of those who oppose free speech on college campuses, the benefits and losses that are taken into account are those for the individual person. As a particular example, he highlights an incident regarding offensive speech at Yale University, to which a student responded that the university has a responsibility to make the individual student feel safe on his/her college campus. Gitlin explains that free speech advocates would respond by countering, that “discomfort shouldn’t end speech,” rather, there is much to be done, whether by picketing, protesting, or one of many forms of opposition. Further, free speech advocates emphasize college’s function in offering a transition into the real world, a world where hate and dissidence exists. Gitlin inserts himself into the debate, establishing that for him, “uncomfortable terms, sheer nastiness is damnable and today there is a lot of it around...but the remedy for it is not to clamp down on a fundamental premise of democratic discourse, namely the ability to encounter contrary or even obnoxious views.” Yet he recognizes that “free speech rights are not absolute.” Referencing Milo Yiannopoulos’ singling out of individuals as targets for violence, the moment one crosses the line into incitement, “free speech does prohibit this sort of thing”. Yet, does this mean then, that universities are subject to the full expectations of the First Amendment? For Gitlin, universities have “special latitude,” or “a responsibility to open discourse even more than other institutions do” and thus uphold the law to its entirety, though universities have the “right to set time, place, and manner rules” regarding controversial speech and protest. For Gitlin, it seems that my momentary shock at looming black fences was both a valid and irrelevant concern. As rightly offended as I may have been, the cause of free speech rings truer.